With so many things to plan for your wedding and so little time to do it all (those nine to 12 months are really flying by, aren’t they! ), it may be easy to start trying to pluck things off your list that don’t seem entirely necessary to fuss over. Writing a love poem on the soles of your soon-to-be spouse’s wedding day shoes? Ain’t nobody got time for that! Hand-making thousands of paper cranes to string together for a ceremony backdrop? Eh, trees will do. 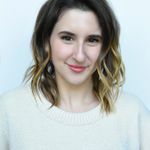 Finding and hiring and paying for a wedding hairstylist? Wait—not so fast! You still need this one. Even if you’re a whiz with a curling wand and “don’t want anything too bridal,” you still should hire a professional to do your hair on your wedding day. 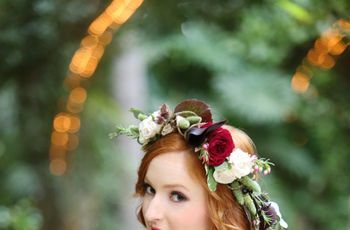 Unlike ditching your paper crane craft fest, hiring a wedding hairstylist so you’ll have amazing locks you can count on should be a non-negotiable—here are all the reasons why. Weddings are long. Hairstyles should be built to last. Professional wedding hairstylists aren’t just good at doing hair—they’re good at keeping it done. So even if all you’re imagining for your big day look is a sleek set of glossy waves, chances are, if you DIY ‘em, they’ll be flat and stringy by cocktail hour. 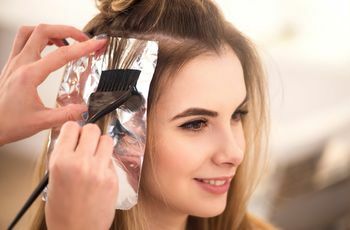 Professional stylists (especially those who have done a million weddings) have a battalion of time-tested styling techniques and all the products imaginable to keep your style locked in till after the after party. The sheer amount of hairspray and bobby pins alone that you’d need to buy yourself if you were doing your own hair would probably cover half the cost of simply booking a professional. Choosing the exact look you want and getting it is what you deserve. Maybe you’re good at loose waves like I mentioned above. Or maybe one of your bridesmaids is a crown braid guru. But why should you limit your wedding hair look to the few options you or your pal can do, when you can hire a wedding hairstylist who will be able to reproduce basically any inspiration your heart desires from the internet? You only get one wedding day—you deserve to look as fabulous during it as you can possibly imagine. If that means getting 10 sets of clip-in extensions and having the most complex updo that Pinterest can conjure, go for it! Any professional wedding hairstylist won’t bat an eyelash at the challenge. Having a pro on your team takes the pressure and anxiety off of you to pick a “doable” look and opens up your possibilities to looks you might never have even considered (but will totally love once the big day comes). There’s more to wedding hair than bobby pins and curlers—there’s strategy. When you work with a pro, you’ll have a trial styling sesh months before your wedding day, where you’ll strategize everything you need to do to get your hair in ship shape so that your dream updo can come true on the morning when it really matters. 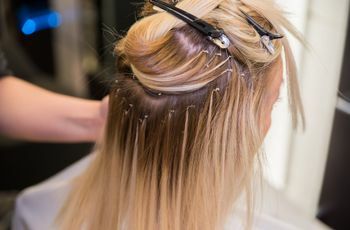 Your stylist will plan your future cuts, dye jobs, extension cutting and color-matching—so many details and possibly future salon visits that you’ll need to check off before you wake up on your wedding day and sit down for hair and makeup. And on the day-of, if something isn’t falling quite right (like a not-quite-swooping swoopy-bang), she’ll have the skills to snip it into shape right then and there. Can you do all that? Of course not and that’s ok! You need quantum hair—hair that looks great in photos and IRL. I’m probably revealing too much of myself here, but I can’t be alone in this: I don’t ever look at the back of my hair. I call myself a front-two-thirds styler. It’s just too hard to reach back there and way too much time to make sure hair looks good from all angles, so I focus on making the front look decent and just sort of pretend the back doesn’t exist. If you’re with me, let’s get drinks. But also, don’t do your own wedding hair. Not only will it be one of the most photographed days of your life (and the back of your body’s life—especially if your dress has an amazing back, which it probably does because it’s 2018), but also you’ll have dozens of people staring at all angles of you for hours upon hours in real life! Only a pro wedding hairstylist knows how to work your hair so that all angles are working for you, from pretty curling tendrils that you might never see till your photos come back, to securing frizzy flyaways that you have no idea how to manage because you usually pretend they don’t exist (me!). If all you hire a professional for is to make sure your hair looks good from all angles, for real life and posterity, it’s worth the ticket price, people. It’s one less thing to worry about—and time is the most valuable thing of all. Picture it: It’s the morning of your wedding and everything is chaos. You barely slept because of the adrenaline coursing through your veins, there are 20 things you need to do at once, and someone has misplaced the $95 candle you bought for your mother-in-law. Imagine having to do the best hairstyle on yourself that you’ve ever done in the middle of this mayhem. Imagine making sure your bridesmaids were all done-up during this time, as well. Oh, your mom, too! Yeah, no. You don’t have time for that. You shouldn’t have to make time for that, when it’s literally someone’s job to swoop in, sit you down, hand you a mimosa and let you chill for a minute while they beautify you. Doesn’t that sound nice? Boom: Huge amount of stress, lifted. And this life-saving professional can also bring friends who can do other people’s hair too, while yours is getting done. They have the technology! Seriously: When you’re looking at wedding hairstylist rates, don’t think of it as prices for hairstyles. Think of it as prices for peace of mind and some precious free time on a morning when you’ll otherwise have very little. If nothing else, #treatyourself. Maybe you’re a whiz at hair, maybe you just want a sleek pony that a 10-year-old could do… but hey, it’s your wedding. You’re also not the type to treat 100 of your closest friends to dinner, drinks and dancing nor are you the type to make out with your partner in front of all of the aforementioned friends while wearing a several-thousand-dollar outfit. But here you are, doing those things, because it’s your wedding—the closest thing you may ever get to a red carpet, Kim Kardashian-style night out. So I say, lean into it and get your glam on! It’s what Kim would do (and does every day, even for, like, grocery shopping).